Fine-tune your bit crushing and get access to a wide variety of experimental sounds with the Bitmap from Red Panda. All of the bit-crushed, robotic, and experimental sounds you've been after are at your disposal with the Bitmap by Red Panda. Using fractional bit reduction and sample rate modulation, you can achieve a variety of different sounds. The Mod/Crush switch works in conjunction with the Crush/Rate knob so that you can fine-tune your tone, whether you want subtle overtones or more pronounced, heavy bit crushing. Use the Hi/Lo switch to choose from three different input gain stages in Crush mode, and three different waveforms in Mod mode. Best of all, the Bitmap works great with guitars, basses, keyboards, synthesizers, and other instruments, all while sporting an expression pedal input so you have full control over the Frequency knob. 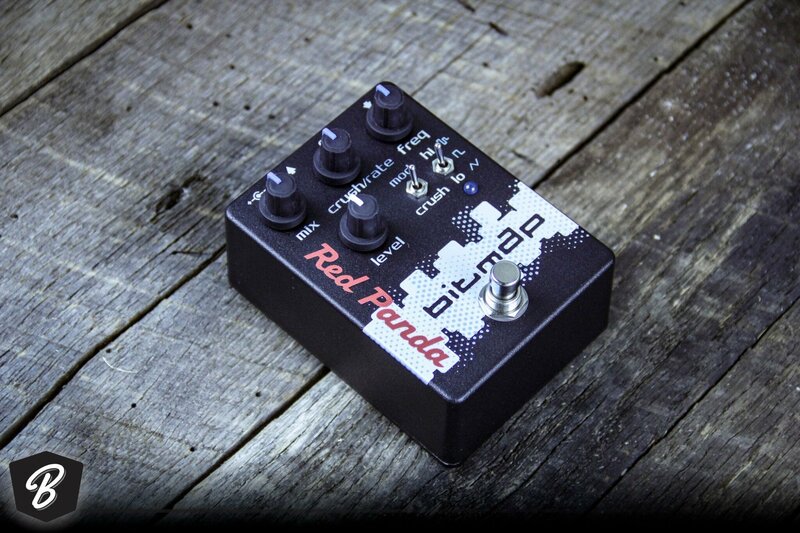 Fine-tune your bit crushing and get access to a wide variety of experimental sounds with the Bitmap from Red Panda.